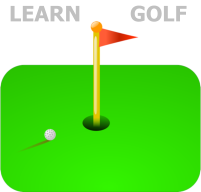 Golf lessons for beginners and improvers from a Professional Coach. Golf lessons are available for beginners and improvers under the tuition of the Golf Pro – Brad Millar. This is individual tuition in small groups. Cost is £5 per hour. No equipment needed, but please wear suitable clothing. However, because of inclement weather and changed times due to competitions, please check that your lesson is taking place. For more information or to book a place, please ring the Golf Pro. U3A golfers on holiday in the Algarve, March 2017, organised by Brad Millar.